For all your airbrushing needs! 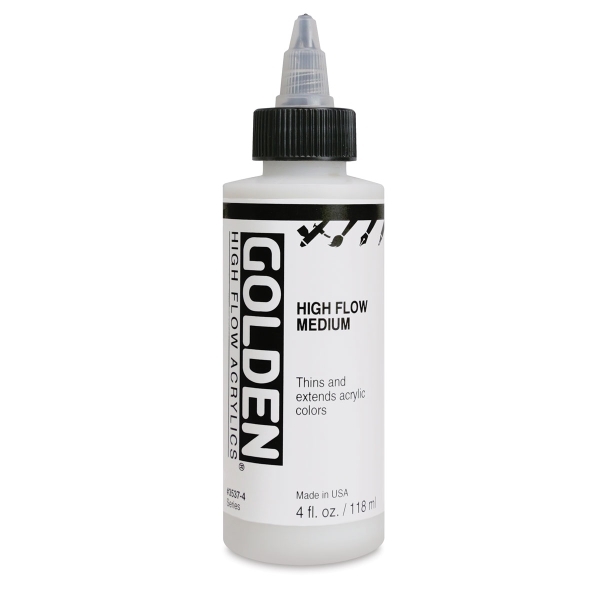 Golden Airbrush Medium creates a paint mixture with just the right viscosity for airbrushing. Use it with Golden's Fluid Acrylics. Golden's Transparent Extender is a 100% acrylic binder that increases transparency. Golden's thinnest acrylic medium, High Flow Medium (formerly Transparent Extender) thins and extends acrylic colors. Brush or spray this medium to extend High Flow Acrylics or to lower the viscosity and increase the flow and leveling of acrylic paints and mediums.